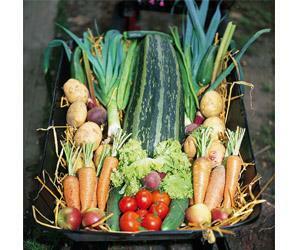 Stable Organics produces vegetables, soft and top fruit and salads in an old walled garden spanning one acre. Produce is picked to order and sold at the farm gate - so call first. The property is three miles from the coast and surrounded by woodland and three acres of pasture. Gresham Hall and The Stables Organics are 3 miles out of Sheringham. Turn off the A148 (east is Cromer, Holt is west). At Pretty Corner, direction Gresham. Private drive to Gresham Hall on left. 2nd entrance left is the Stables.